Justine is a multi-disciplinary performance maker and arts worker with a background in music, poetry and festivals. She has recently completed a Graduate Certificate of Arts and Community Engagement at VCA, and is constantly developing her practise through performance, collaboration, community engagement and research. Beginning her hillsceneLIVE journey in 2014 as a programmed artist, Justine quickly fell in love with the project and applied for a Producer role in 2015. The hands-on experience of developing, producing, unpacking and delivering hillsceneLIVE over the following 2 years under the mentorship of Gareth Hart provided unique and powerful opportunities in professional development, industry networking and friendship-building. The multi-faceted landscape of the arts festival has provided Justine with a passionate and grounded practice that is equally challenging and fulfilling, and stepping into the role of Co-Director in 2017 continues this trajectory. Justine's practice is rooted in the values of integrity, nourishment and reciprocity. She is passionate about environmental responsibility, respect for artists and their work, and cultural safety. She is drawn to work that embodies curiosity, an awareness and respect for ritual, and a sensitively managed pushing of boundaries. She thrives on collaborating and building partnerships with individuals and groups that are ethically responsible and supportive of artists and arts workers. Justine aims to maintain a critically reflexive practice, and believes that healthy, inquiring conversation is key. As an artist, her work integrates dark, gritty and visceral facets of the human experience, often utilising improvisation, playing with words/language/voice/sound, as well as natural materials and collected objects to build abstract, evocative worlds. She creates works in order to process her existence, and to provide immersive/interactive experiences for audiences. Previously Justine has worked on a multitude of projects as a musician/vocalist, poet and performance maker, workshop facilitator, and in an event production capacity. She has helped to produce local events such as End of the Line festival, Belgrave Lantern Parade, hillsceneLIVE and created the monthly spoken word event To the Ends of the 'Verse. She is an ongoing member/mentor at tbC, and runs entwineArts as a way to catch and weave the many tendrils of her practice. Toni Main is a Melbourne based performance maker with a focus on creating new work in collaboration with artists and makers from multiple disciplines. Her work explores bodies in space, the immersive, the physical and the dynamic. She is one of the six artists in Oddbody; as the name implies, a collection of six very different bodies, ages, ethnicities, and cultural backgrounds that flocked to one another, unearthing each other's fascinations with the quotidian, the abject, with domestic ritual, femaleness and alien perspectives. She is also a founding member of In Helvetica who have recently returned from their Australian tour of their inaugural work, SPEECHLESS. Toni has 10 years experience working with young people around Australia as Artistic Director of Tantrum Theatre (Newcastle) and SYTE (Adelaide), creating a multitude of performances from verbatim theatre Grounded (Tantrum/atyp 2012) with playwright Alana Valentine, that won 2 AWGIES (most outstanding and Youth/Community 2013) to forum theatre such as Party House (SYTE 2009, nominated Ruby Awards SA). She has also devised and directed many physical theatre performances including Wonder (Tantrum 2011) and Steam Island (SYTE 2011). Toni Main graduated a post-graduate diploma in performance creation (animateuring) at the Victorian College of the Arts in 2013 and the directing course at the Flinders University Drama Centre with first class honours in 2005 receiving the Minter Ellison Rising Star Award. In 2008 she studied in Paris at L’Ecole de Jaques Le Coq focussing on her passion for physical theatre and mask performance. Meiki Apted is a Finnish-Australian writer, physical theatre performer and teacher who moved from Northcote to Belgrave South at the beginning of 2017. As a child, she was home-educated, which gave her plenty of time to climb trees, play guitar, put on plays, and write poetry. She is currently teaching Drama, Literature and Literacy at Swinburne SSC, producing hillsceneLIVE, and running a physical theatre peer practice. Written, produced and recorded a 7-song EP of original songs, and rocked out in a 90’s cover band. When Meiki is not teaching or making art she’s usually hanging out at home, playing board games, writing poems, and growing vegetables. She runs a physical theatre performance peer practice based on the work of John Britton, and has lead Movement and Mindfulness Workshops with Laneway Learning and festivals across Victoria. She gets excited by improvised theatre with sparse text, fragmentary narratives, vulnerability merged with skill, site-specific work, live music, live drawing, shadows and echoes, and anything created by aesthetic introverts. Meiki brings a wealth of experience to the hillsceneLIVE team. She is looking forward to helping you to explore ideas, confront your fears, and bring your artistic visions to life. Natalie Tara Smith is a Melbourne based producer originally from Birmingham, UK. She studied Managing Performance at University of Leeds during which she undertook a year in industry at West Midland's dancehouse DanceXchange. There she assisted with the delivery of British Dance Edition (2010) and International Dance Festival Birmingham 2010. Upon graduating in 2011 Natalie became Assistant Producer at DanceXchange, delivering the 2012 and 2014 International Dance Festival Birmingham - producing the outdoor, social inclusion dance project Paint the Town Red and the 2013 Breakdancing World Championships. In 2012 she worked with Sydney choreographer Shaun Parker to produce Spill - a playground of dance, which toured to low socioeconomic areas of the UK for 9 weeks, with over 120 performances in 36 playgrounds. 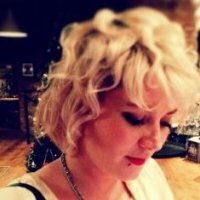 Whilst living in Birmingham she has also worked with the live art festival Fierce. Since moving to Melbourne 3 years ago, Natalie has worked with Next Wave as the Festival Club Assistant Producer, The Pleasure Garden, The Inflatable Church and Rainbow Serpent as a performance coordinator. She has most recently worked with Dancehouse to deliver two outdoor off-site performances as part of Dance Massive 2017. She was also producer for Swell 3.0, a live music re-imagined project at Fort Nepean on the Mornington Peninsula. She is currently working with the University of Melbourne and NGV to deliver a performance program and symposium looking at the pioneering women of modern dance in Australia in the 1930's. Natalie is particularly interested in delivering projects in outdoor settings or unusual spaces and navigating those challenges, as well as with artists who make work to assist with social inclusion. Natalie is incredibly excited to be a member of the hillsceneLIVE committee and cannot wait to meet and work alongside the artists in the region. Renate Crow is a community engaged arts worker who is continuously developing her relationship with her local community groups such as public services and schools through a sculptural-visual practice. Renate teaches and shares through workshops and engaging in events such as the Belgrave Lantern Parade. She is an avid beekeeper, gardener, cyclist, rock climber and dedicated homeschooling parent. Family and community are core values, and she aims to bring about deeper connectedness through the work that she does. At hillsceneLIVE 2016 she presented the work ‘Inside Out', an intimate and vulnerable exploration through the sculptural medium of silicone moulds, beehive frames and plaster casts of skin to skin contact, creating suspended moments of closeness that represent the transience of human connection and the process of grieving and celebrating life. Renate is excited to support artists through hillsceneLIVE, knowing from experience that the journey can be a powerful and challenging one. She has a good ear for listening, and deeply values the creative exploration of human relationship, restfulness and self-care. Sol Laskowski is a free-lance sound engineer and musician with experience both live and in the studio. Graduating from WAAPA with an advanced diploma of audio production in 2012 he has taken on a wide variety of roles including live sound engineer at Mojo’s Fremantle, stage sound, monitors and technical support at festivals such as Soundwave and Fairbridge Folk Festival and house engineer at the DIY community space Little Wing Corner Gallery. Gareth Hart is a Melbourne based independent artist and producer, and holds a Masters of Choreography (by research) from the University of Melbourne and Victorian College of the Arts. Gareth’s seminal performance work ‘Ellipsis’ premiered at the 2012 Adelaide Fringe Festival, receiving a 5 star review, being nominated for ‘Best Dance Work’ and subsequently invited to re-stage at the 2012 AvignonOFF festival in France. ‘Ellipsis’ was further nominated for a 2012 Australian Dance Award (Outstanding Achievement in Independent Dance). His subsequent work, ‘Symphony of Strange’ similarly garnered a 5 star review and nomination for ‘Best Dance’. His most recent work, 'Excavate' won a Best Dance award at Adelaide Fringe Festival in 2015. For over a decade, Hart has been dedicated to developing a deeply considered improvisation practice, that seeks to continually find the ‘new’ within our corporeal and experiential history. His practise is based in an investigative improvisation process, informed by the potential of the body as a site for conceptual confusion, artistic challenge and aesthetic rigor. He has a number of excellent influences on his practice, including Rosalind Crisp, Ros Warby and Helen Herbertson. As a producer, Hart works exclusively with emerging and experimental artists, across theatre, dance and live art. During 2010-2012 he was the co-Artistic Director of Crack Theatre Festival, as part of This Is Not Art. In 2012 Hart produced ‘Blindscape’ (Skye Gellmann) for the Next Wave Festival, which culminated in a sell out season and nomination for a 2012 Green Room Award for ‘Innovation and Excellence in Circus’. Subsequently, Hart went on to produce a national tour of this work in 2013, touring to four states along the east coast of Australia. In 2013 Hart secured a professional secondment with the London International festival of Theatre, which led to the presentation of Hart's work 'Cafe Urgency' In Bristol, UK. 2014 saw Hart imagine, instigate and implement ‘hillsceneLIVE’ - a series of three experimental arts festivals in the Dandenong Ranges, in partnership with Burrinja Cultural Centre. .
Alana Michaud is a young creative from the Yarra Valley passionate about community, arts and people. This comes through her work whether it be creating or telling stories, working with people in theatrical productions or film productions, volunteering for various organisations or working on group or individual artistic projects. In 2013 Alana completed the Regional Arts Victoria Leadership Program with 11 regional students over an intensive 9 days learning about arts management and meeting industry professionals. In 2014 she completed an Advance Diploma of Professional Screenwriting at RMIT University. Alana worked with two organisations on overseas projects in 2015. She began in South Africa with Cultural Infusion teaching dance and life skills to young people from four regional townships in Kwazulu-natal while also helping run a youth camp for the township's Mayibuye dance troupes. Later that year she traveled to India with Humanitarian Clowns Inc visiting hospitals, orphanages and nursing homes putting smiles on the faces on impoverished and seriously ill children and adults through clowning. 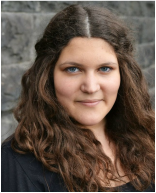 Alana is an ongoing member of MISFIT Theatre, a theatre group run by youth for youth and recently became the product development coordinator for The Misfit Project, a social enterprise to engage young people to talk about issues that matter to them. Alana is currently completing an Advance Diploma of Rudolph Steiner Education and hopes to bring positive and artistic education to her community. We acknowledge the Traditional Custodians of the land we live, work and play, the Wurundjeri and Boon Wurrung peoples of the Kulin Nations. We pay our respects to Elders past, present and emerging, and acknowledge that sovereignty was never ceded.